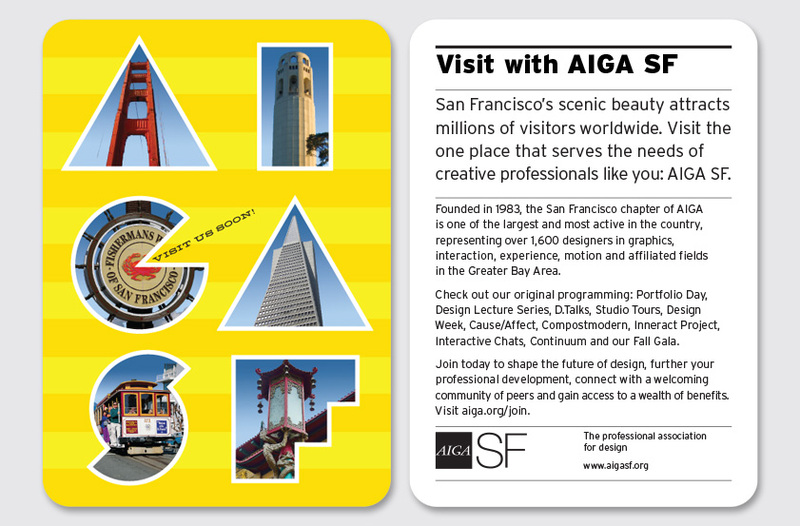 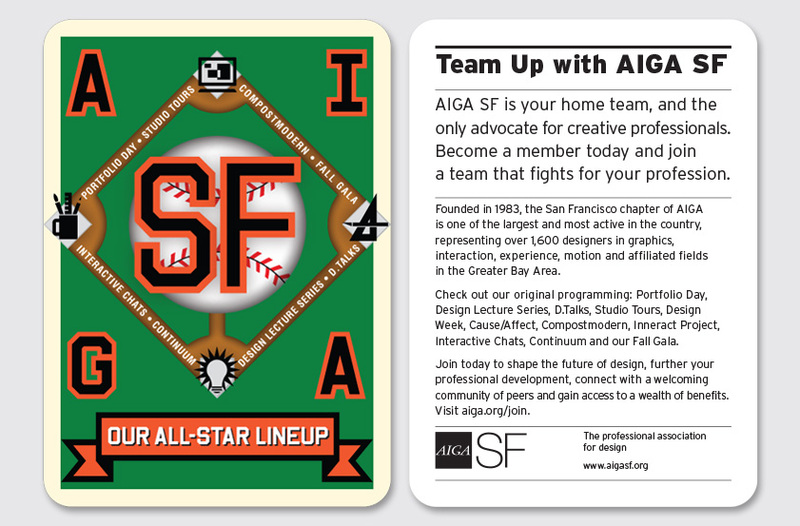 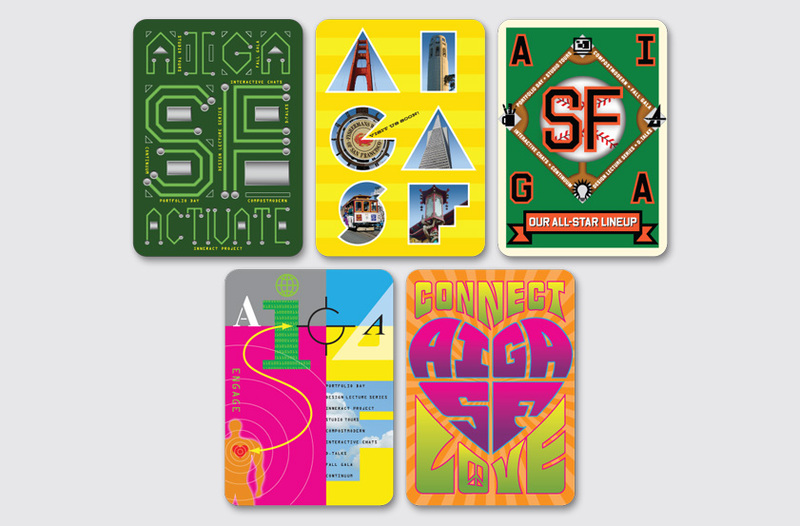 The AIGA SF Trading Cards are a series of five cards to promote membership in the San Francisco chapter of AIGA, the professional association for design. 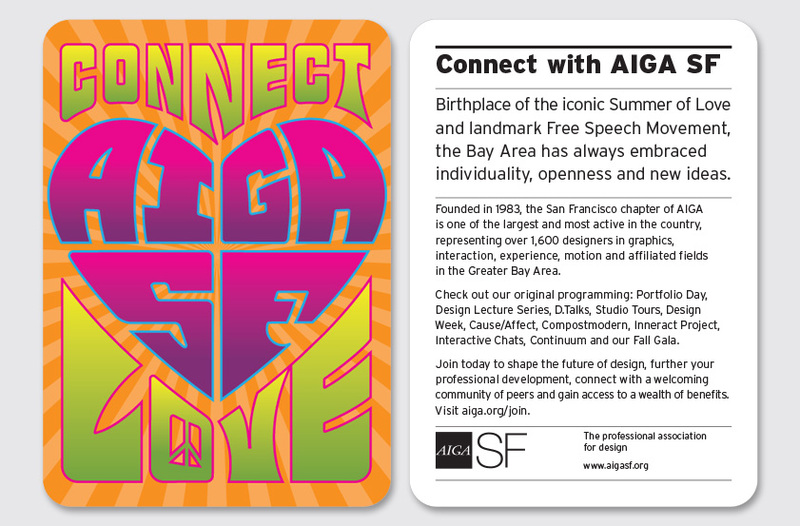 Our solution focuses upon the qualities that make the Bay Area and AIGA SF unique: as a laboratory of innovation, a home to championship teams, a location of scenic beauty, a center for creative endeavors, and a place that embraces diversity and new ideas. 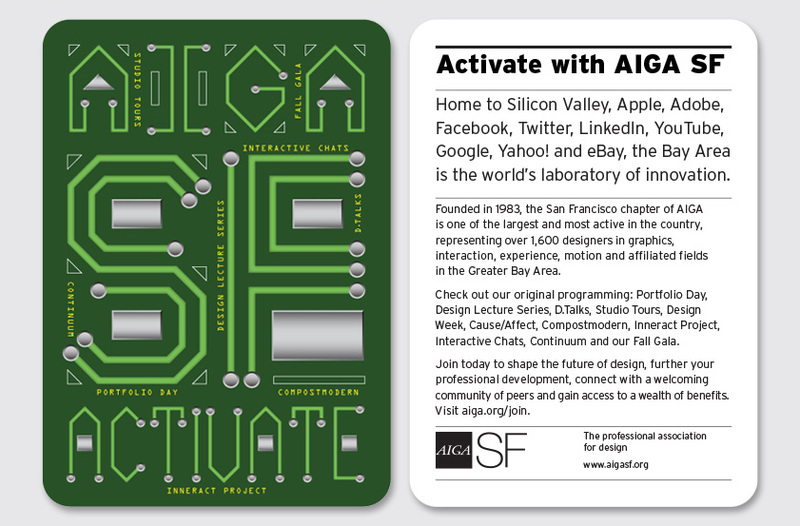 The organization’s robust programming slate is referenced on the back of every card and incorporated into the front designs. 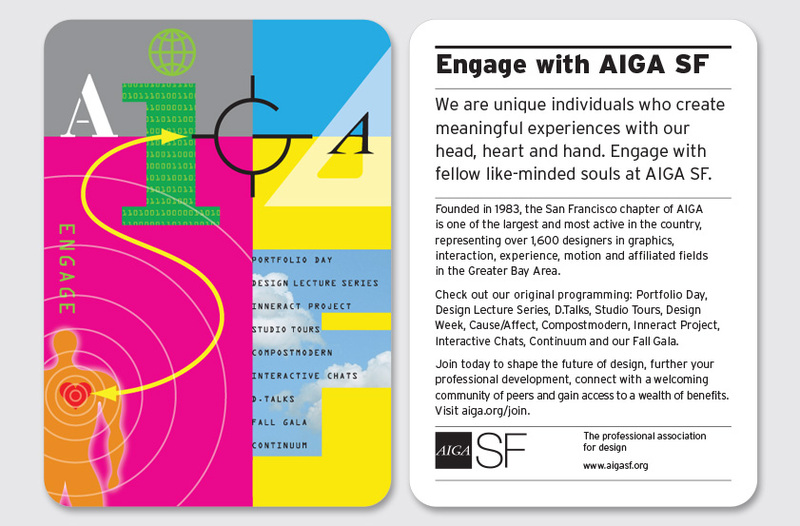 The card’s diverse design approach conveys AIGA SF’s commitment to providing value for every creative professional.